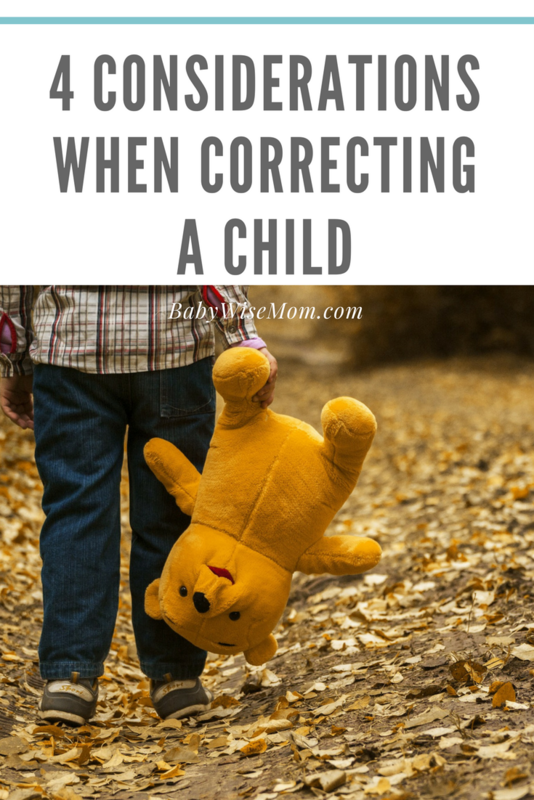 Things to consider when you are correcting your little one. Discipline tips for toddlers, preschoolers, and children. Think before you act. How common is this particular offense? How is the child’s overall behavior? Your answers to these questions will help guide you to an appropriate action when your child does something he shouldn’t. Let’s examine each of these a little more closely. Is this the first time your child has grabbed the plant leaves, or is this something he has done several times in the past? If it is a first-time offense, often verbal correction and redirection are all that is needed. If your child is repeatedly doing something you have instructed him not to do, then it is time to evaluate your methods of correction and look into something new. Your child will likely test your consistency every so often. He might know the plant is off limits. He hasn’t even looked at it in over a month. But he wonders, is the plant still off limits? So he tries it again. This situation might require nothing more than a verbal reminder. It might also require something more, like isolation. But it shouldn’t require as much as when he is repeatedly doing something he shouldn’t, unless it leads to that. Take circumstances into consideration. 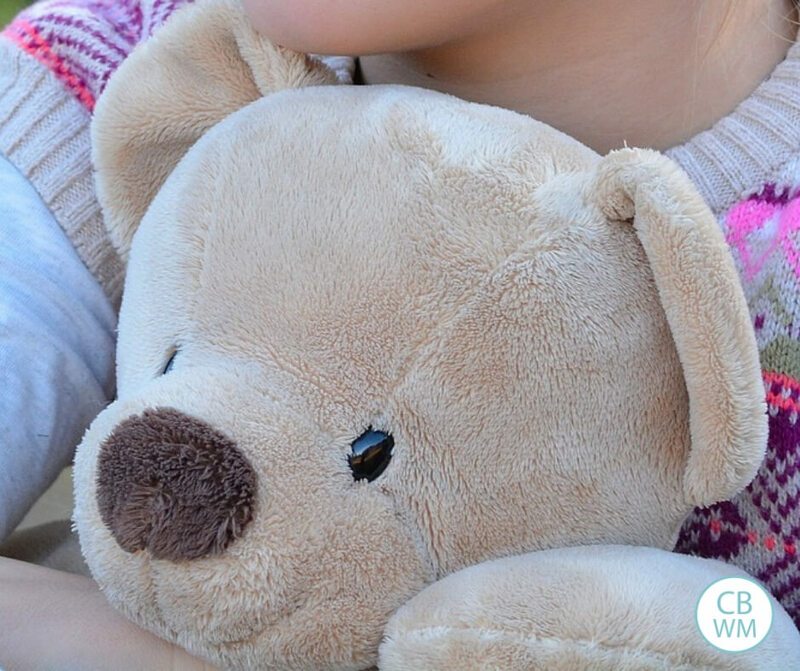 Is your child overly tired? Did he get to bed late or have a shorter than usual nap? Is it almost lunch time? Is he teething or sick? These are factors to consider before reacting. These aren’t excuses for being disobedient, but they also tell you that your child really can’t be expected to behave like he usually does. There are other factors when it comes to context. Perhaps your child is overstimulated. Perhaps you aren’t giving him the attention you usually do. Read more in my post Overstimulation for Toddlers. I remember one day when Brayden was 13 or 14 months old. We had just moved into our house and two neighbors stopped by to visit and welcome me. At the time they came, Brayden was between his bath and independent playtime. I had the visitors come sit down and we visited. In retrospect, I knew that I should have excused myself for a few minutes to get him started in independent playtime, or at least directed him to a free playtime activity. That isn’t always possible. 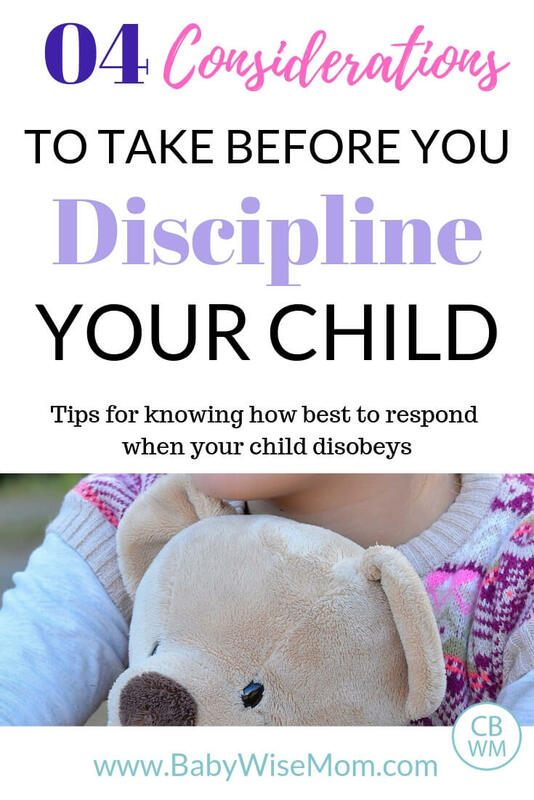 When your child disobeys but you can see a clear, understandable reason for it, consider the situation before disciplining. The two women visiting are both older with grown children close to my own age. They chuckled knowingly and mentioned that he knew how to get Mom’s attention. They were correct; he was trying to get my attention. He knew that touching that pottery would get my attention and a reaction immediately. He hadn’t touched it in months upon months. In this situation, Brayden was at a point in his day when he usually would have been in independent playtime. Instead, I had him out wandering around wondering what to do with himself. He did his best to get my attention. This act was not something he received any sort of punishment for. I told him that is a no and put the pottery up out of his reach. He hasn’t touched it again to this day (now approaching four years old). This is an important factor that can really contribute to helping you figure out what to do. Was this a one-time incident? If so, what was the context that led to it? In my pottery example, it was an isolated incident. There were many factors at play. I did not need to look any deeper. Your child’s age has a lot to do with how you should respond. As your child gets older, he has had more training and knows better what to do. So while 14 month old Brayden got nothing more than “That’s a no” for grabbing the pottery and running, 4 year old Brayden would receive more than that in that situation. He would likely lose a privilege of some sort. We would also have a discussion about his behavior, what he should have done differently, and what he should do in the future. If your child is disobeying often, you need to look deeper. Is he getting enough sleep? Adequate nutrition? Does he have too many freedoms? Is he addicted to making his own decisions? What is the real root of the problem? When your child is in need of correction, run through these factors before you react and move forward with correction. By doing so, you can apply the appropriate method of correction so that your child can learn and move forward. My son is 6 months old. He will scream in his high chair if not feed fast enough. How would you deal with this? I know baby wise talks about squeeze of the hand. Would that work at his age? Hi, Val,I’ve been struggling with something for a couple of months now. My 19 month old son we’ll slap me with his hand sometimes. lately he does it when I take him away from something that he’s doing. for example, he was playing with a puzzle and I picked him up to go change his diaper. he didn’t like that I did that so he started slapping me on my shoulder as i carried him into his room to change his diaper. This has happened before and I’ve used “that’s a no” followed by “time out” in his play pen. I did the “time out” after telling him “no” 3 times. I’m really upset that he’s doing this. what can i do? ndw-My son (15 months) likes to slap me too. He doesn’t do it when he’s mad though, just bc he thinks it is fun. I tell him not to hit mommy and move his hand away. If he keeps doing it I’ll move him in such a way that he can’t keep doing it (this might mean putting him down in which case I’d tell him mommy will not hold him if he is going to hit me). Although I’ve been really consistent he still does this every couple days. I think it is something that we’ll have to keep working with over and over. My son isn’t one of those kids that changes after being told once. He tests over and over again and after several weeks of consistency he’ll stop doing it (and I really am being consistent!). Maybe your son is similar and it’ll just take more time and continued consistency. Susanne,I wouldn’t do the hand squeeze at this age. If he is getting mad when he is in his high chair and you are preparing his food, there are a few things to consider. One, if you don’t give him liquid before the meal, I wouldn’t put him in the high chair until the food is prepared. If you do breast/bottlefeed before the solids, then I would put him in the high chair, but only for so long. I have no idea how long he is waiting, but have it be less than a couple of minutes at this age. I would look at him and say, “I know you are hungry. Mommy is getting your food ready. You need to be patient; I am going as quickly as I can.” He isn’t going to understand exactly what you mean, but he will understand more than you realize. If (when) he continues his fit, look at him sternly and tell him that is enough. Basically, I would do my best to keep the preparation fast and use words/looks to communicate to him that his behavior is not acceptable. NDW,Kaitlyn has done this to me a few times recently. I take her hand in mine, give her my look, and tell her “that is a no. You do not hit people.” The other day she was going to do it, but stopped herself.I think Rachel has good ideas (thanks Rachel!). Consistency is key and remember that things don’t improve overnight. It does take time and consistency.A couple of other ideas, be sure you give him a warning before stopping playtime. I am not sure if you did that, but tell him, “You need your diaper changed. In one minute we are going to stop playing with the puzzle and go change your diaper.” Brayden really needed (and needs) his warnings before things are going to end. Tell him to look you in the face before you give the warning, then follow up with a “yes-mommy.”If you do these things and he still hits you, then I would move to logical consequences. “Since you can’t be nice when it is time to put the puzzle away, you don’t get to play with the puzzle anymore today.” For example. I know this post is really old but the hitting thing has been a big issue for my 18 mo old. I'm definitely going to implement the warning and then taking away the item because she hits when i do that but she also hits when I'm changing her diaper and she will hit other kids when for instance they are coloring together. She is veryyyy strong-willed just like me. Also, what other posts would be good to read of yours that have to do with discipline because time outs she just thinks are funny.